1. Andhra Bank Ltd is a 10 rupee face value PSU bank stock. Security ID : ANDHRABANK Group / Index : A / S&P BSE 500 Face value : 10.00 Security Code : 532418 ISIN : INE434A01013 Industry : Banks. 2.Brief Details of Company:- "Andhra Bank" was founded by the eminent freedom fighter and a multifaceted genius, Dr. Bhogaraju Pattabhi Sitaramayya. The Bank was registered on 20th November 1923 and commenced business on 28th November 1923 with a paid up capital of Rs 1.00 lakh and an authorized capital of Rs 10.00 lakhs. 2. Year high of Andhra Bank Ltd is 64.50 year low was 44.80 and stock traded at 54.65, Year high/ low ratio is below 2, If you read my research terms or my book, then you may know that generally, I like a stock which year high/low ratio is below 2. 3. 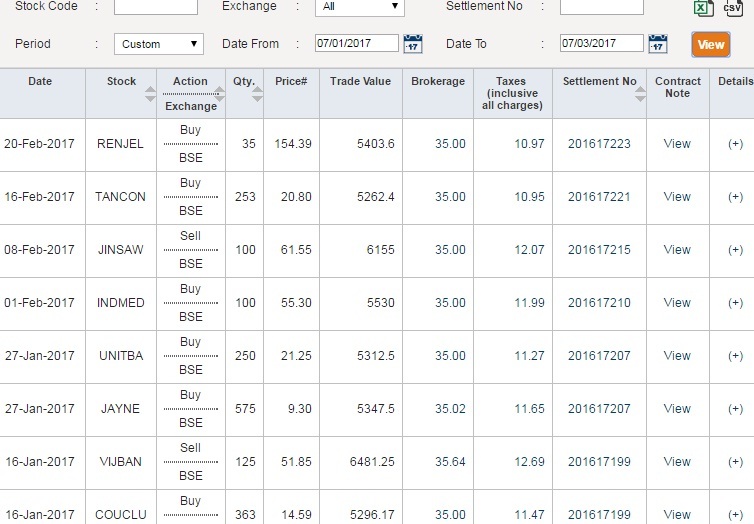 Promoters of Andhra Bank Ltd hold 61.26 %, Andra Bank is a PSU bank, so Govt of India is the promoter of this bank.Overall good promoters holding with nil pledged stocks. 5. 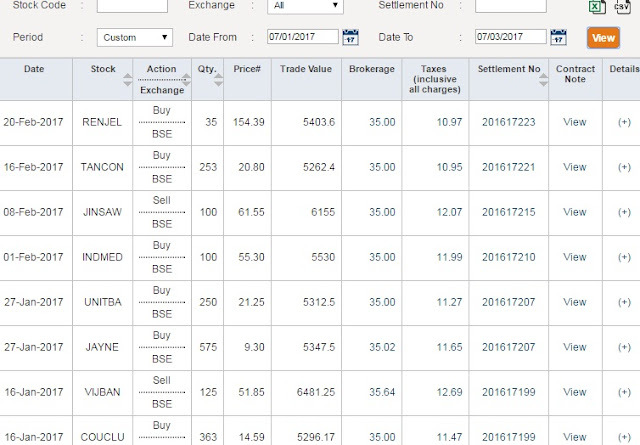 The base price of Andhra Bank Ltd is 67.88, So Stock is traded almost 20% below from the base price So I think current price 54.65 is the best price for buying Andhra Bank. 7. Andhra Bank Ltd net sale per share of FY 15-16 was 258.89. 8. Net sale per share 258.89 is also higher from CMP, So as per my rule I select this stock as a value buy. 9. The Book value of Andhra Bank Ltd is 161.87 Book value is higher then CMP, So Andhra Bank Ltd is a value buy at CMP. 10. 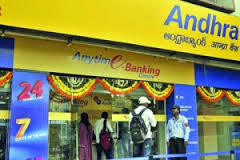 Finally, Andhra Bank is fulfilling all of my stock choosing criteria and this stock also eligible to publish under fundamentals holding calls, but I publish this stock on my trading stocks blog because I think due to good results and banking sector performance this stock will be able to give 20% plus returns in 3 months time frame. 11. 200 DMA of Andhra Bank Ltd is 54.59, So I recommended to buy it at CMP 54.65. So for these type of followers Stop loss is 5% below from 200 DMA ( On Closing basis whenever stock closed 5% below from 200 DMA then consider it as stop loss read my How Chandu Earn..Book for details ). Remember my past 2 recommendation of Renaissance Jewellery & Tantia Construction both stocks traded over recommended price, but my speculators and gamblers followers start asking" Why volume is low, why these stocks not perform? And they troll me on moneycontrol site. I think some operators and paid tips providers jealous from my free recommendations so whenever I post a new call they put large orders and up price and volumes to trap my followers at a higher price. So please do not be over excited, after my recommendation does not buy at once. If price and volumes are high after my recommendations, then Please wait for at least five trading sessions for settlement. One person makes my fake profile on moneycontrol and use my picture on this profile and start giving tips using my name and picture, I fear that If my innocent followers believe on this fake profile tips then what happen with me? So when I complain to moneyconrol, this person remove my picture from the fake profile. 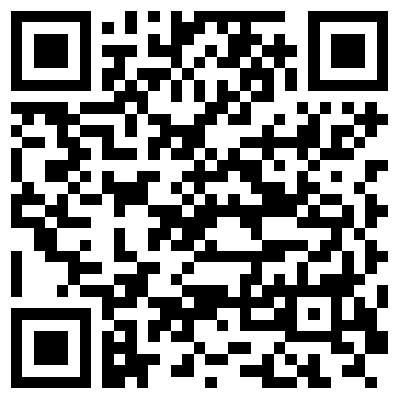 For avoiding fake profiles in future, I start using my own profile on moneycontrol. If you read my both book then you no need to wait my free advice you can able to select these type of stocks by your own knowledge which is my main motto. 11. Disclaimer: - This is not an advisory service to buy or sell. The contents of “this research report” are only for educational purposes. No liability is accepted for any content in “this research report”. The author is neither a registered stockbroker nor a registered advisor and does not give investment advice. His comments are an expression of opinion only and should not be construed in any manner whatsoever as recommendations to buy or sell a stock, option, future, bond, commodity, index or any other financial instrument at any time.The author recommends that you consult with a qualified investment advisor, one licensed by appropriate regulatory agencies in your legal jurisdiction, before making any investment decisions. Please read the full disclaimer at the bottom of my blog. 12.Discloser: - I Mahesh Chander Kaushik author of this research report is an existing research analyst and passed NISM certification for research analysts. I am also registered with SEBI(RESEARCH ANALYSTS) REGULATIONS, 2014 ( SEBI Registration Number INH 100000908 ) hereby disclose about my financial interest in the subject company and the nature of such financial interest:- 1 Me and my associates or relatives have not held any share of Andhra Bank Ltd so my personal interest is not included in this stock. 2. Me and my associates or relatives have not any actual/beneficial ownership of one percent or more securities of the subject company ( Andhra Bank Ltd). 3. Me and my associates or relatives have not any other material conflict of interest at the time of publication of the research report. 4. Me and my associates or relatives have not received any type of compensation from the subject company(Andhra Bank Ltd) in the past twelve months. 5. I am not served as an officer, director or employee of the subject company ( Andhra Bank Ltd). 6. I have been not engaged in market making activity for the subject company (Andhra Bank Ltd).